As a Maine wedding photographer I always create an image of the entire wedding party in action and having fun. This is a wonderful example taken just up the road from the Stone Mountain Arts Center in Brownfield, Maine. 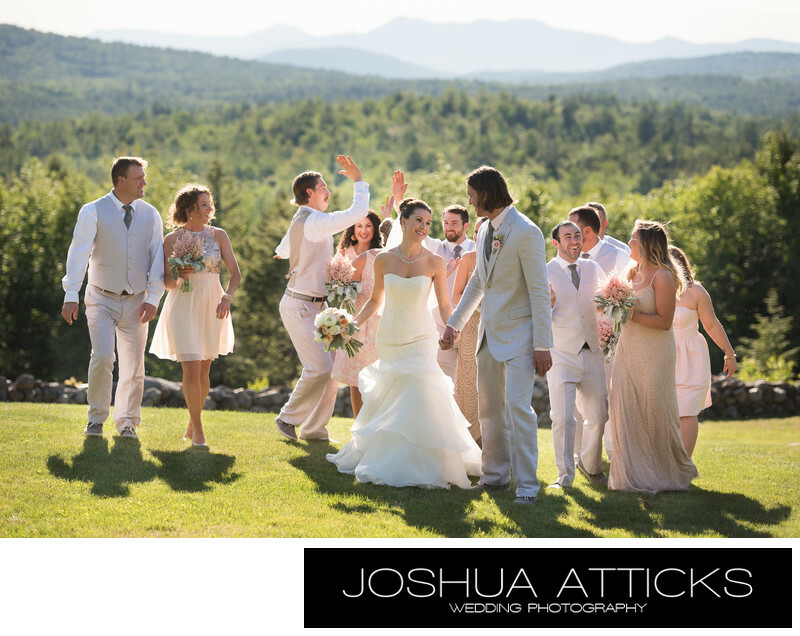 The view was spectacular of the White mountains in the distance as the wedding party walks up the hill with excitement fresh in the air as the couple enjoy their time moments after their wedding ceremony.